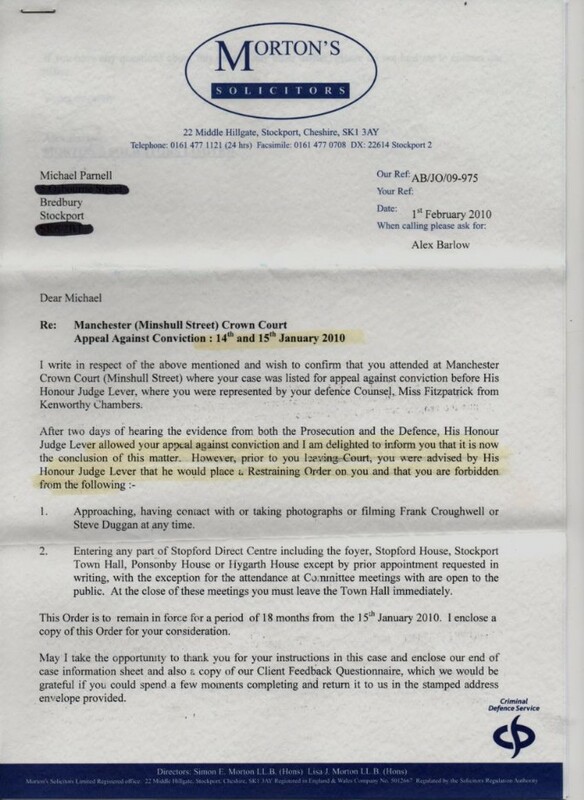 The LibDem-run council at Stockport subjected sick, innocent Mr Parnell RIP to hundreds of custodies, dozens of arrests and repeated imprisonment. 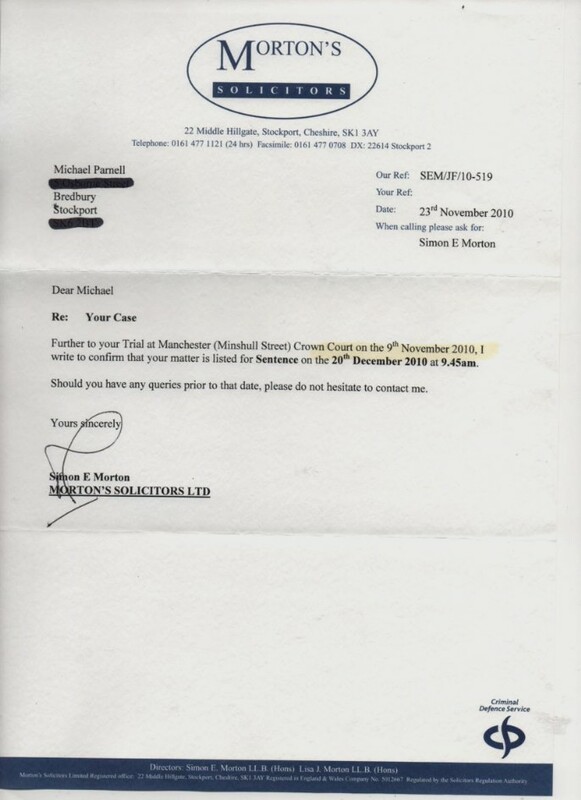 His requests for help for counselling for his lovely, troubled, adopted daughters were ignored for a decade, but once Leader Goddard came to power, there was active persecution of Mr Parnell, which both he and his family believe led to his early death aged 58. 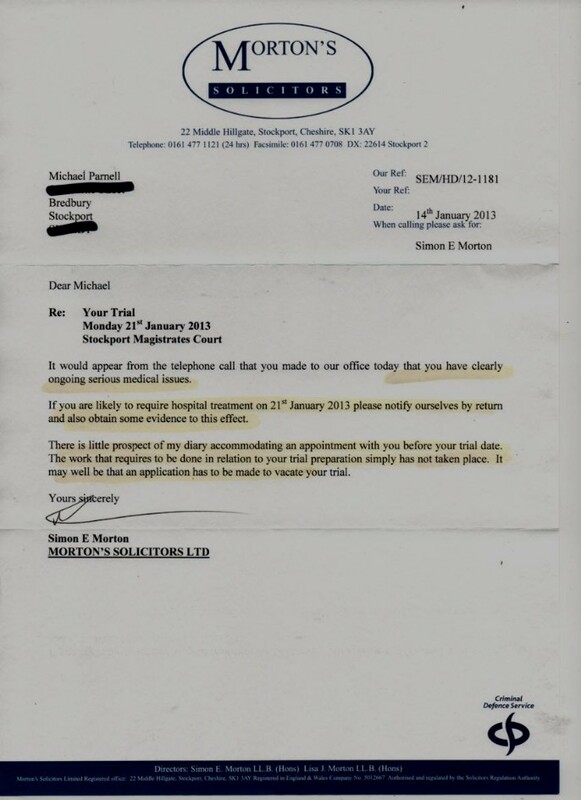 The persecution continued even whilst he was terminally ill in Intensive Care. Mr Parnell was found to be innocent by Judge Bernard Lever of assault with a sneeze, when the council employees were found to have committed perjury in court, but Judge Lever still decided to punish Mr Parnell RIP. 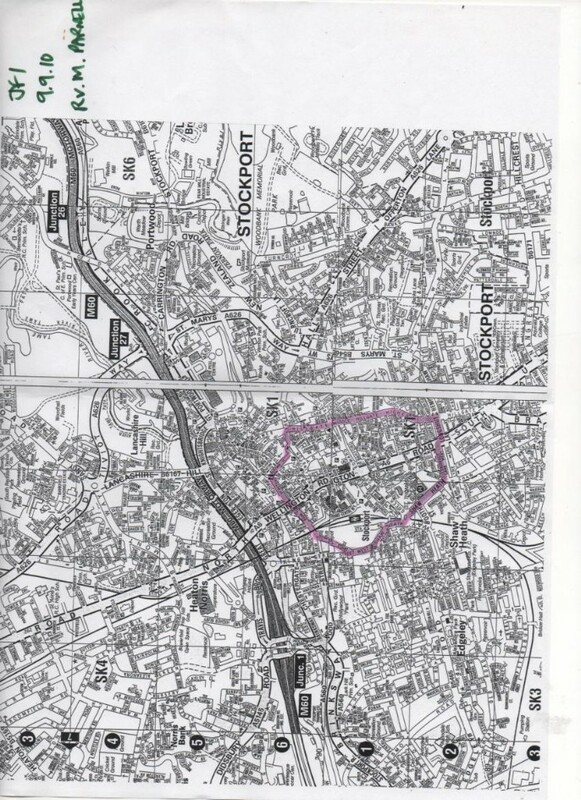 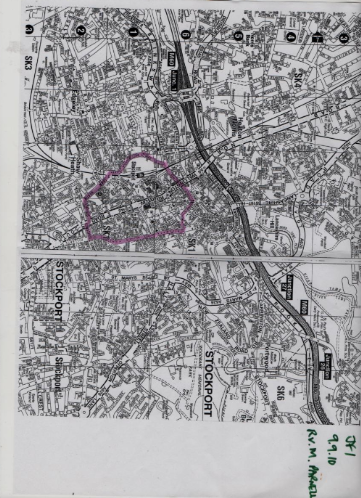 Everytime Mr Parnell entered the red circle (in the centre of Stockport) he faced arrest and five years imprisonment. 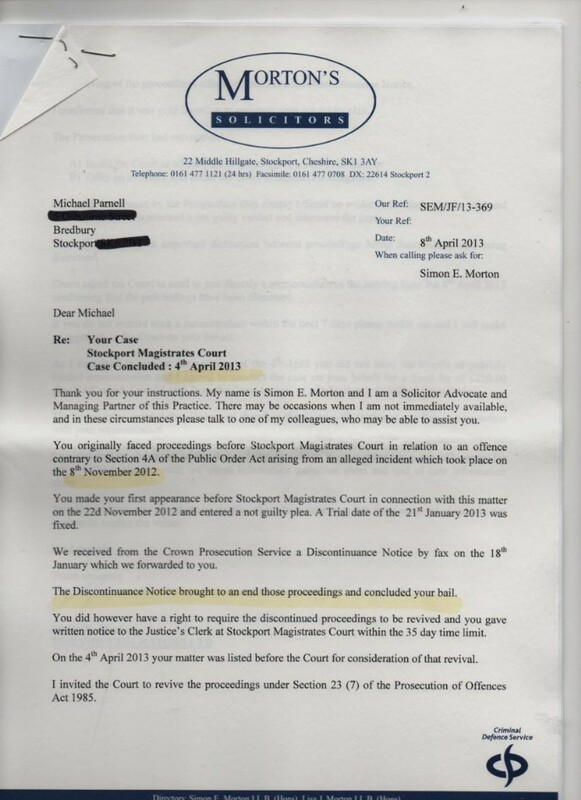 He was completely innocent. 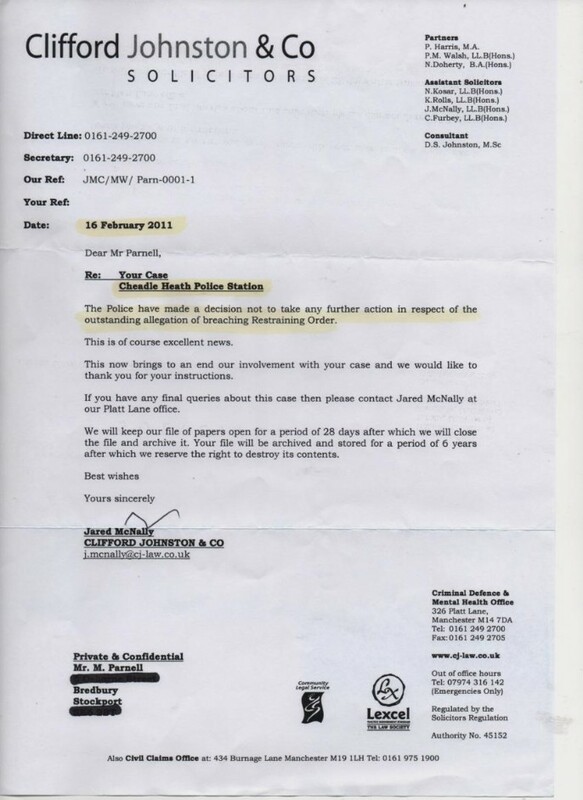 This was done at the behest of the corrupt LibDem Council and enforced by their ? 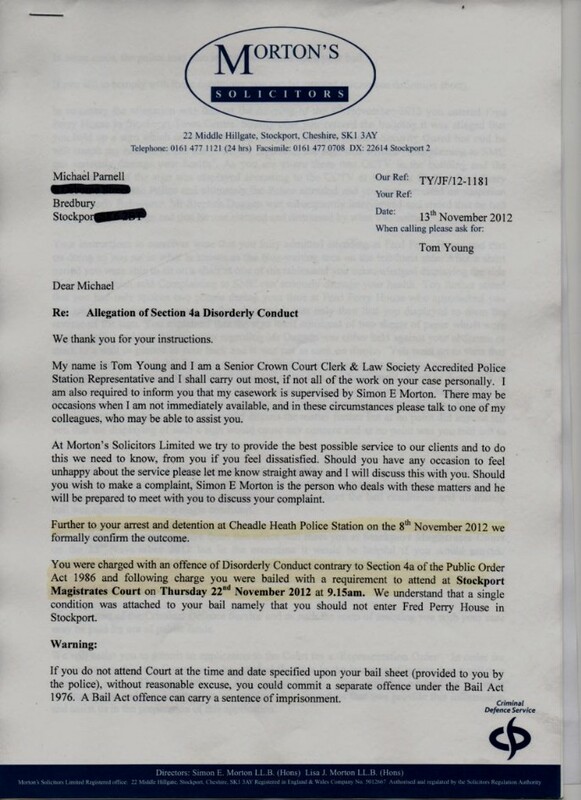 Masonic chums in the police, Crown Prosecution Service and Magistrates' court. 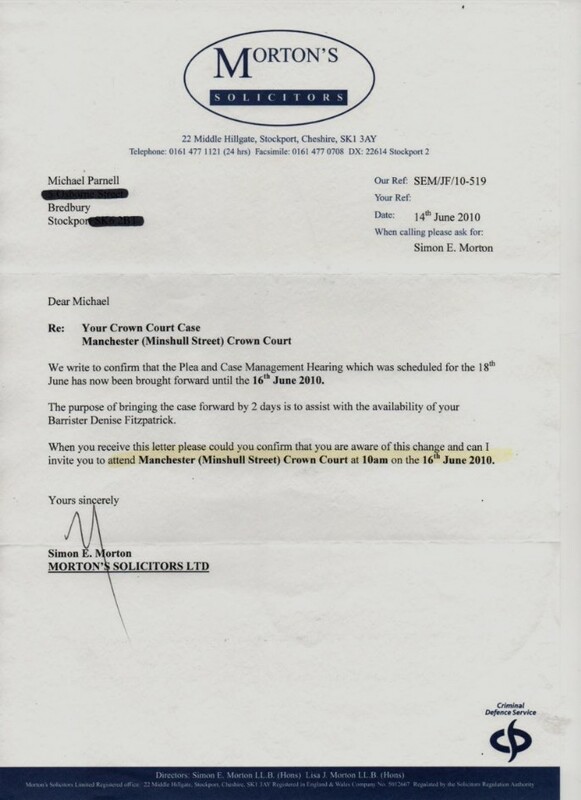 The above court case was discontinued. 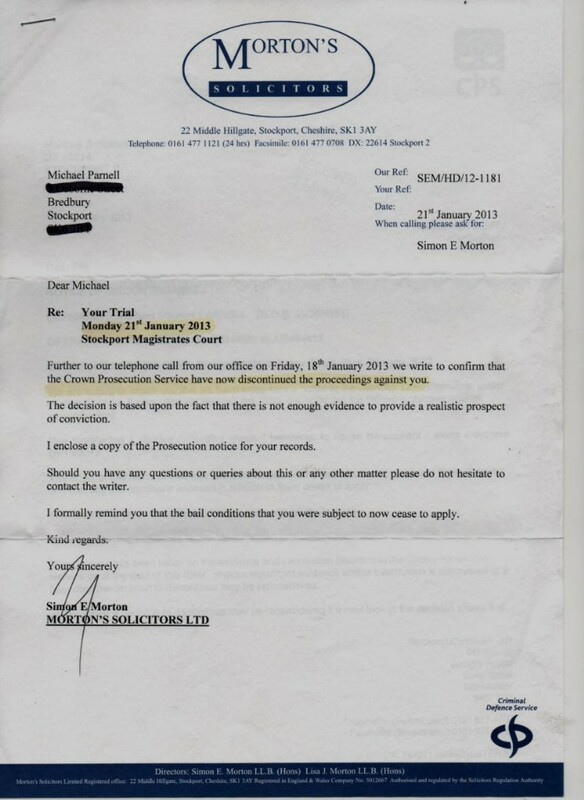 Finally the dodgy Stockport CPS realised they should not be continuing to imprison then already terminally ill Mr Parnell who died in October 2013. 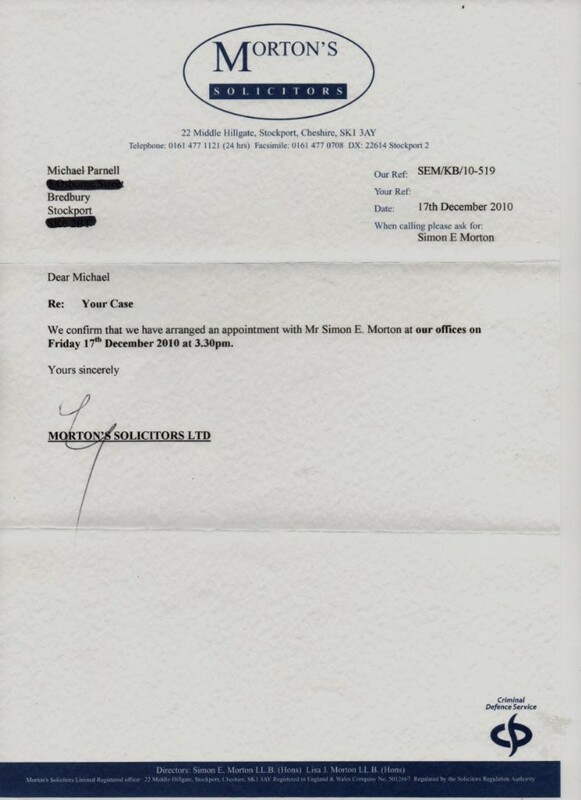 Mr Parnell clearly had serious medical issues which were known about in January 2013. 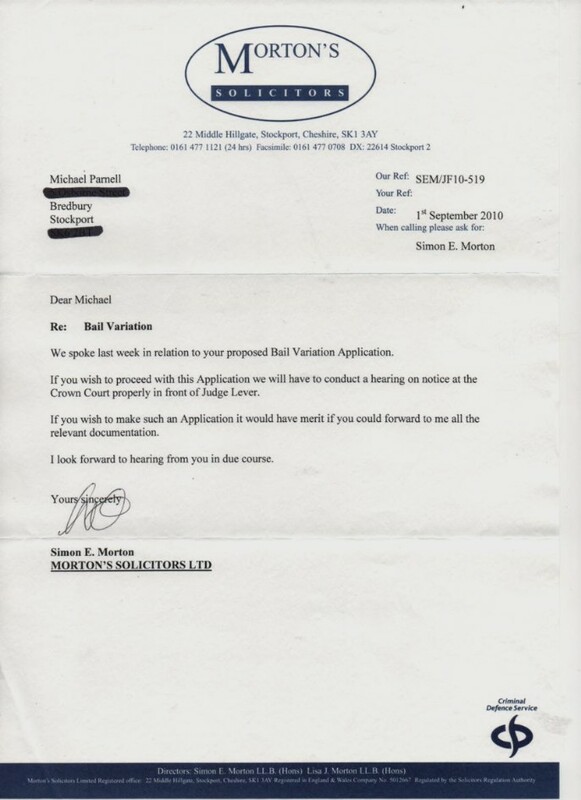 Mr Parnell was failing to respond - presumably because he was terminally ill. 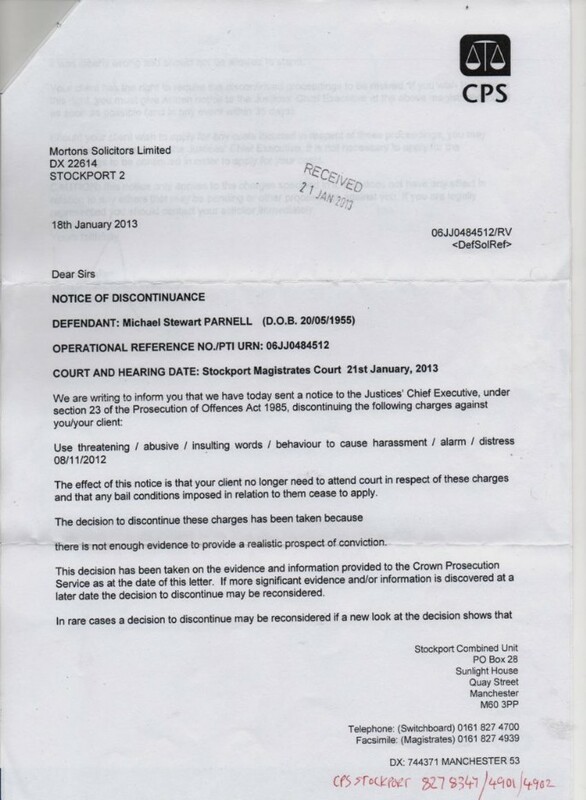 I told everyone who was persecuting him - vile LibDems/CPS/Police - how ill he was. 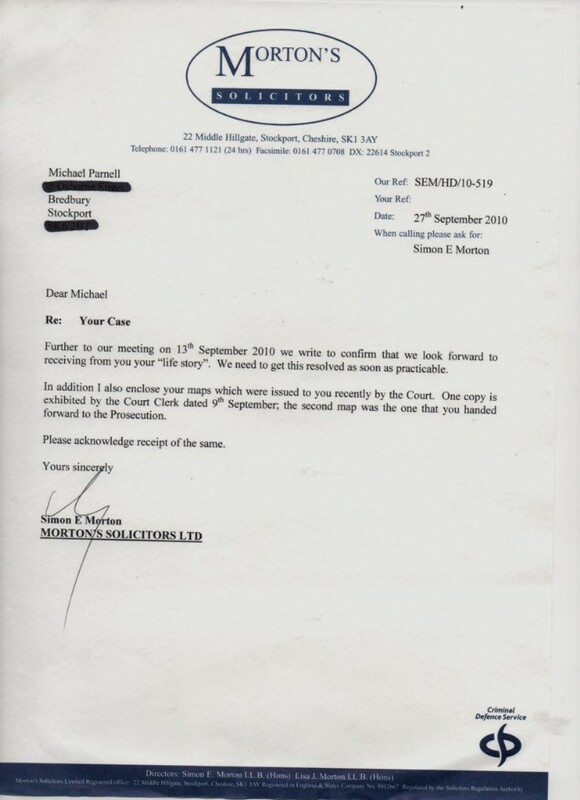 They knew, and they carried on with their vicious vendetta. 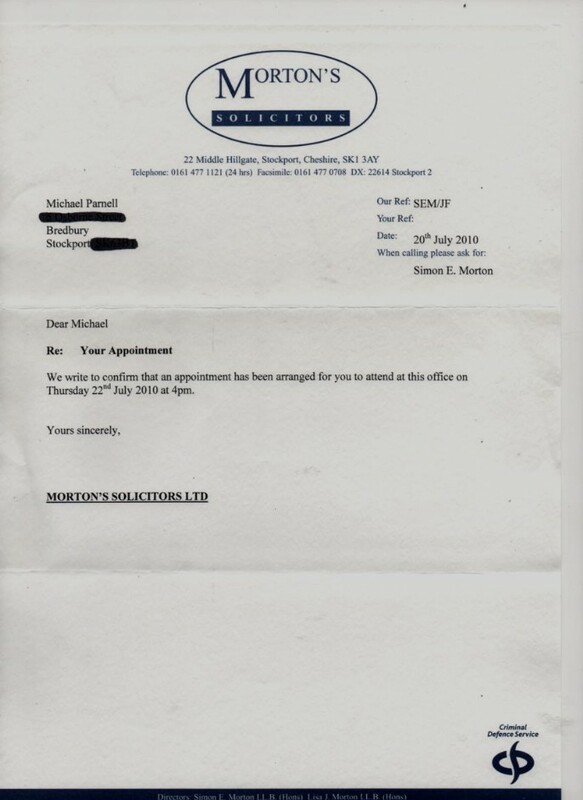 Mr Parnell was not allowed to go to council offices at Fred Perry House, although he had never committed any crime and this is where the Citizen's Advice and council tax offices are. 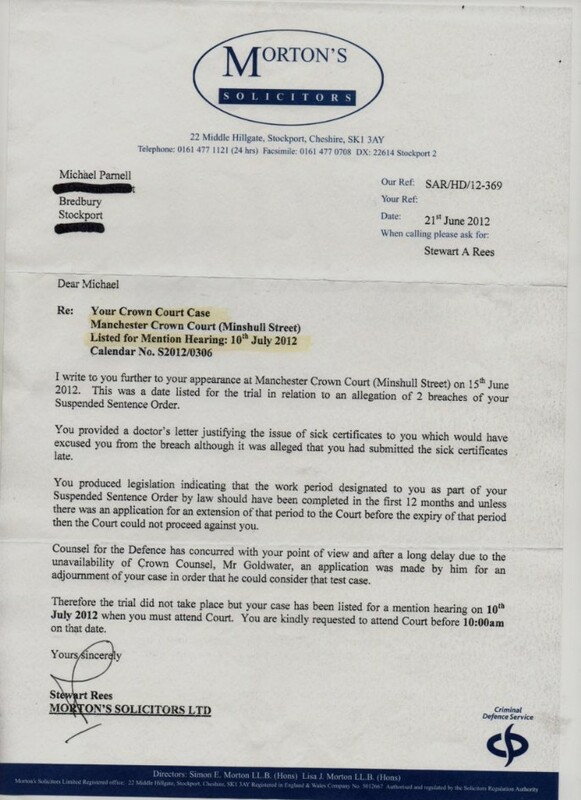 The Council was falsifying council tax arrears for Mr Parnell to continue their vendetta against him. 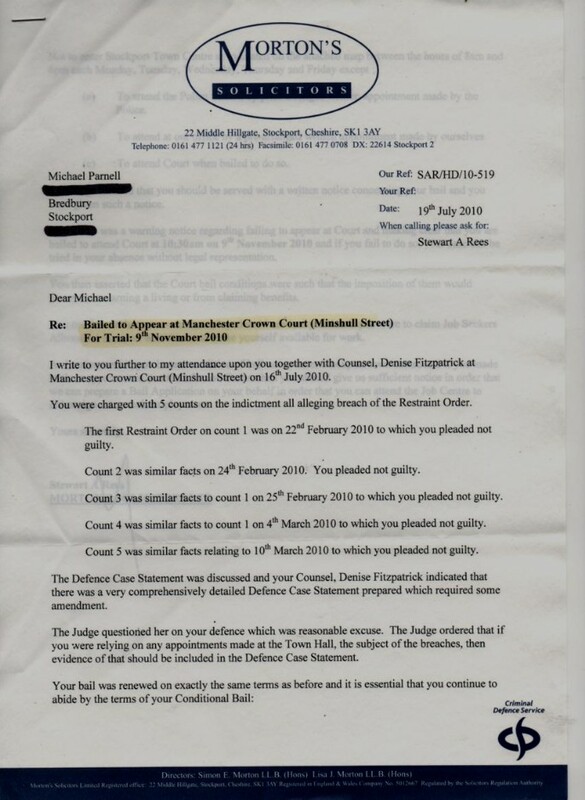 If he went into Fred Perry House to try to sort it out he faced 5 years in prison for each breach of his criminal ASBO kept in force even though he had been found innocent of the crime for which it had been imposed. 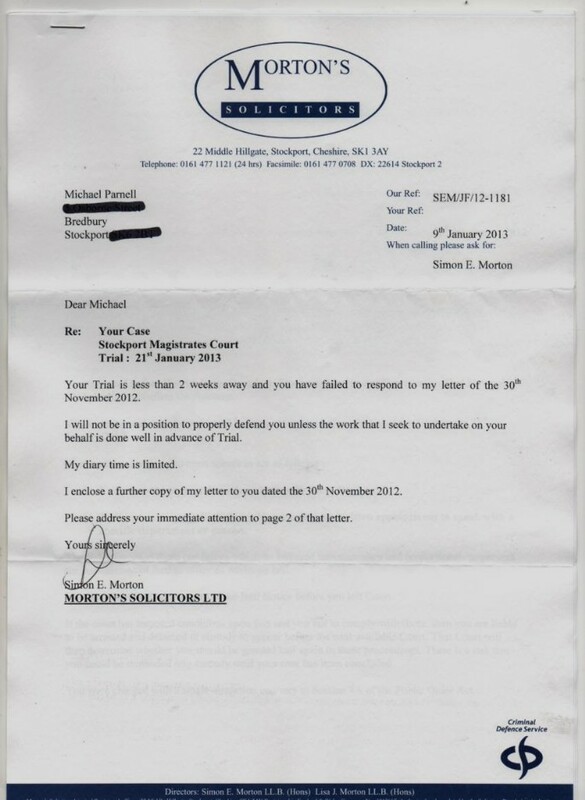 I was not allowed to act on his behalf. 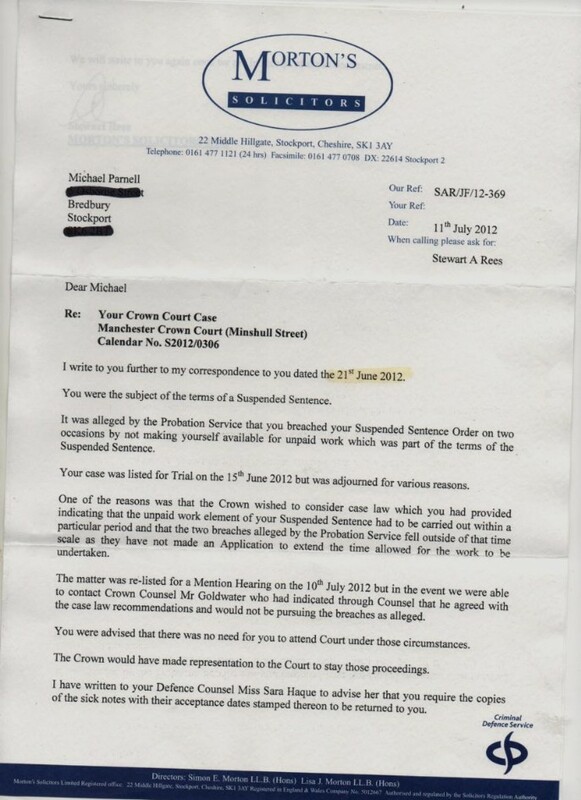 Any letters he sent to the Council were ignored. 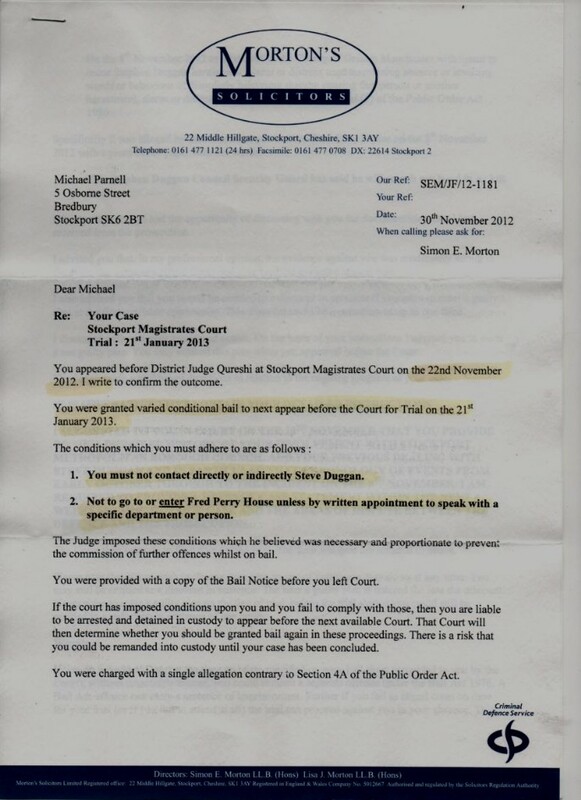 He was also not allowed to contact Frank Duggan, who was found by Judge Bernard Lever to have committed perjury at Mr Parnell's acquittal hearing. 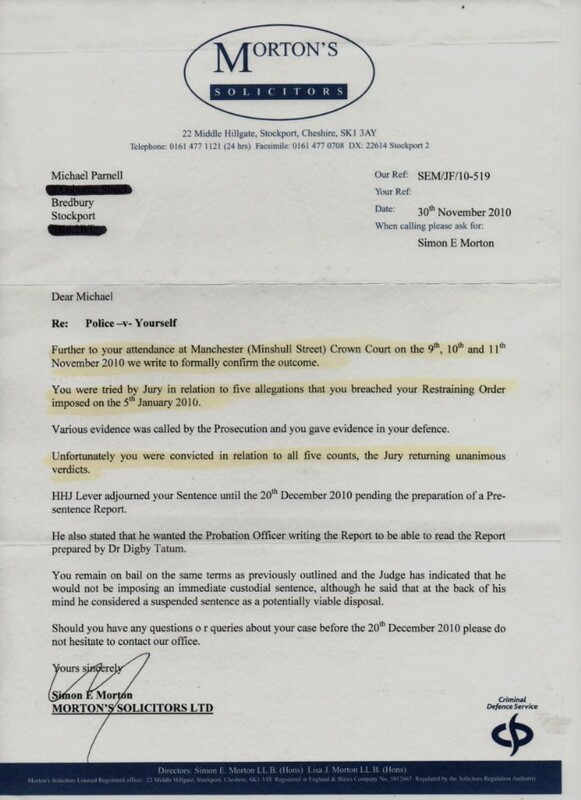 Long after Mr Parnell was acquitted of the ludicrous assault with a sneeze, the corrupt LibDem run Council was still calling the police to arrest him on the say so of the security guards who had been found to have committed perjury against him at Manchester Crown Court. 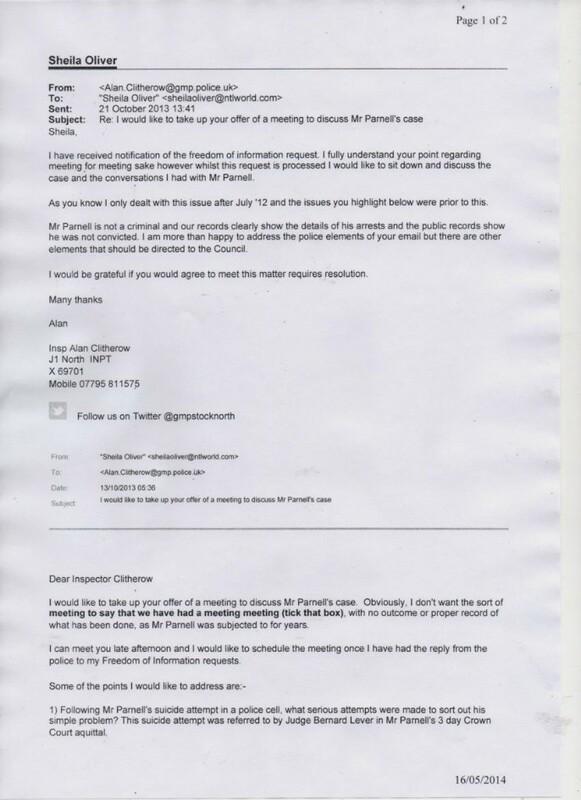 I told all the LibDem Executive councillors time and time again what was being done to Mr Parnell RIP, but they really couldn't have cared any less. 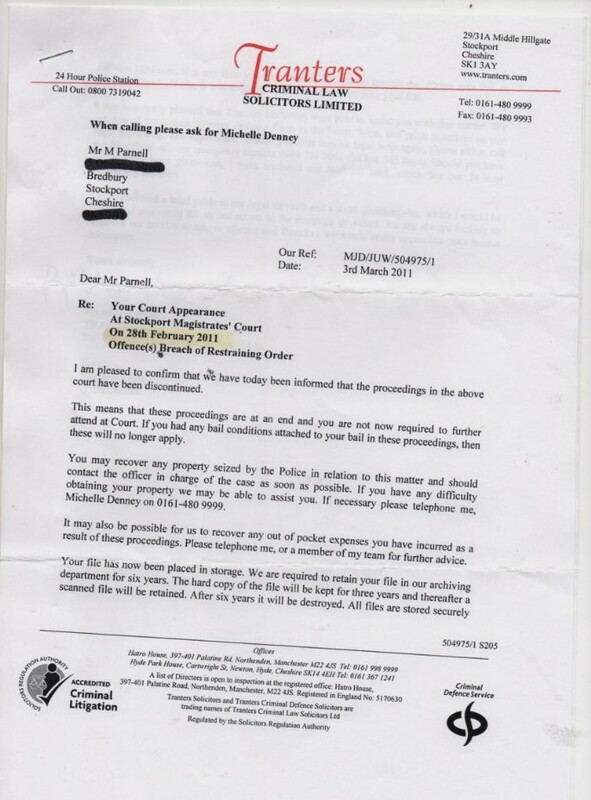 Mr Parnell again being arrested, but as Inspector Clitherow has confirmed in writing, Mr Parnell was completely innocent. 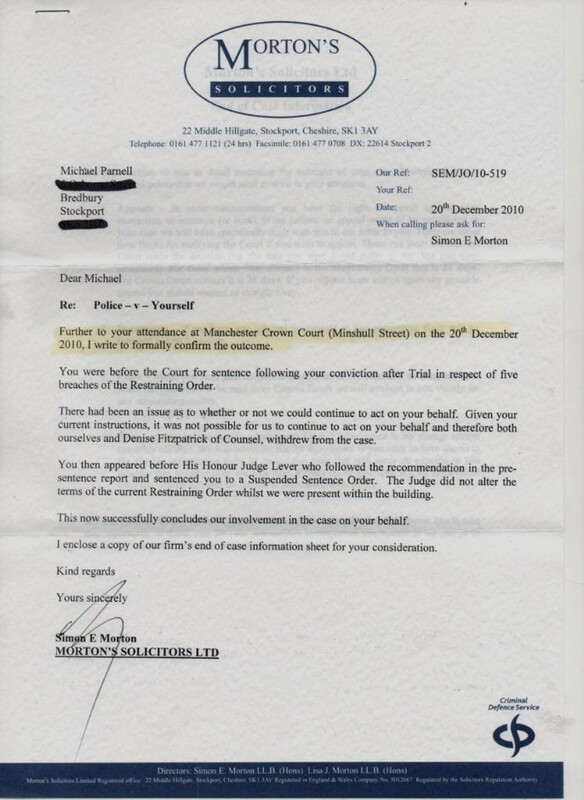 No CCTV evidence (and they have masses of him) was ever produced of him ever being anything but polite and gentle in his dealings with everyone. 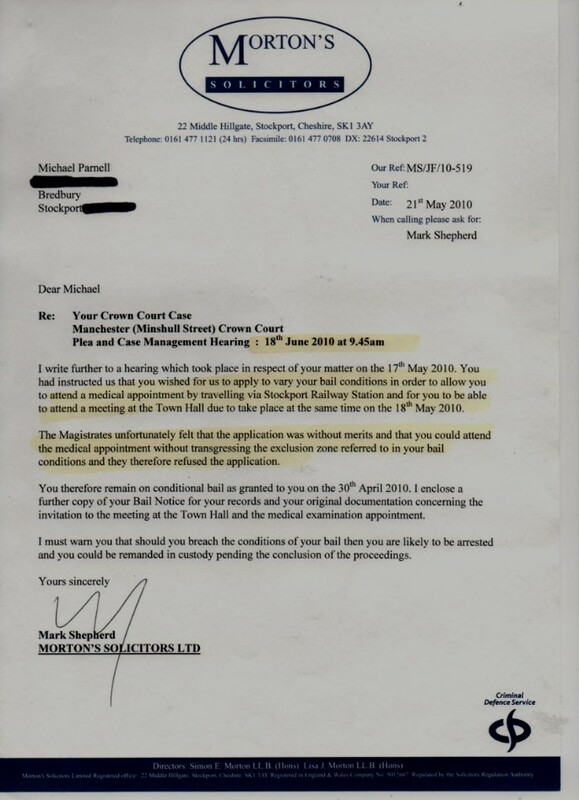 LibDem Executive Councillors Goddard, Derbyshire, Weldon, Candler, Pantall, Bodsworth, Meikle all knew what was being done to him and sneeringly condoned it. 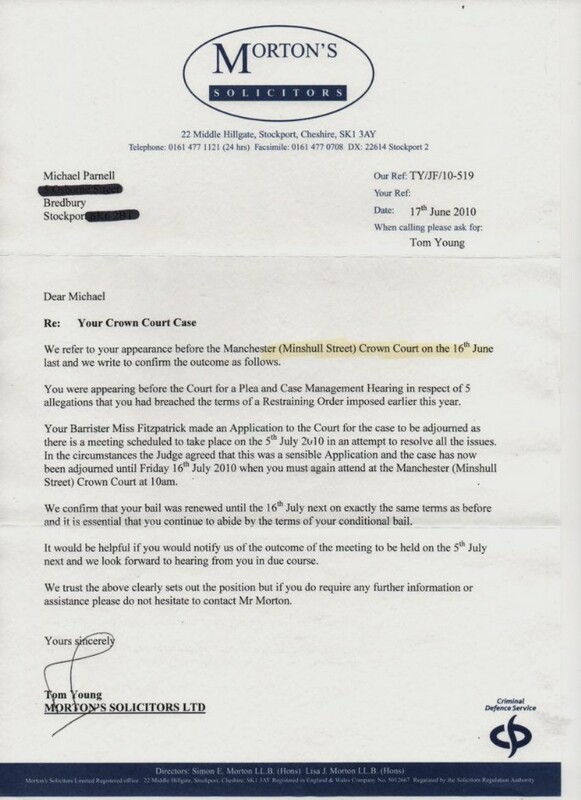 The former Council Solicitor Khan, Chief Executive and former assistant Chief Executive Boylan and Lucas knew exactly what was being done to Mr Parnell and they too condoned it. 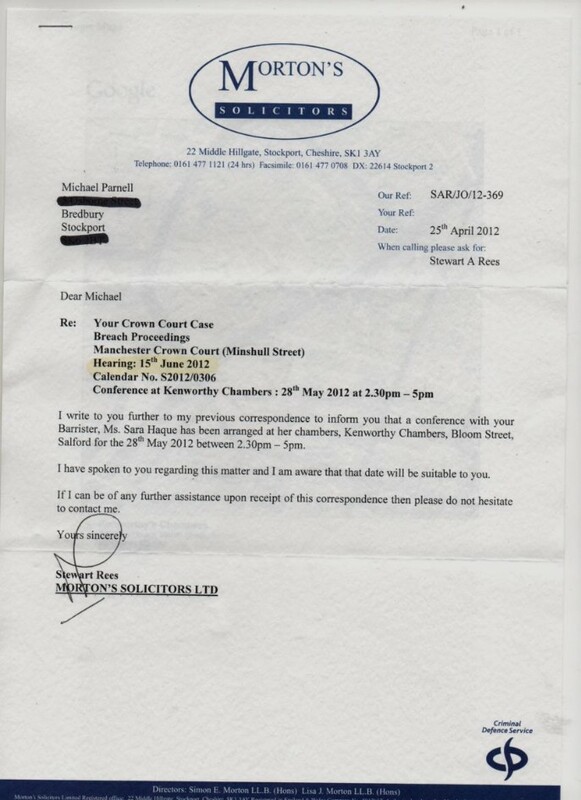 Is any of these people fit to hold public office? 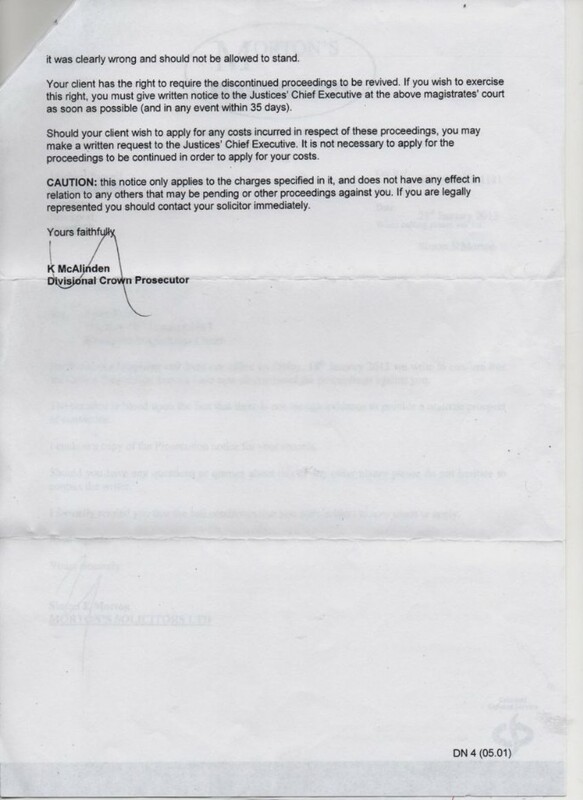 I often wonder. 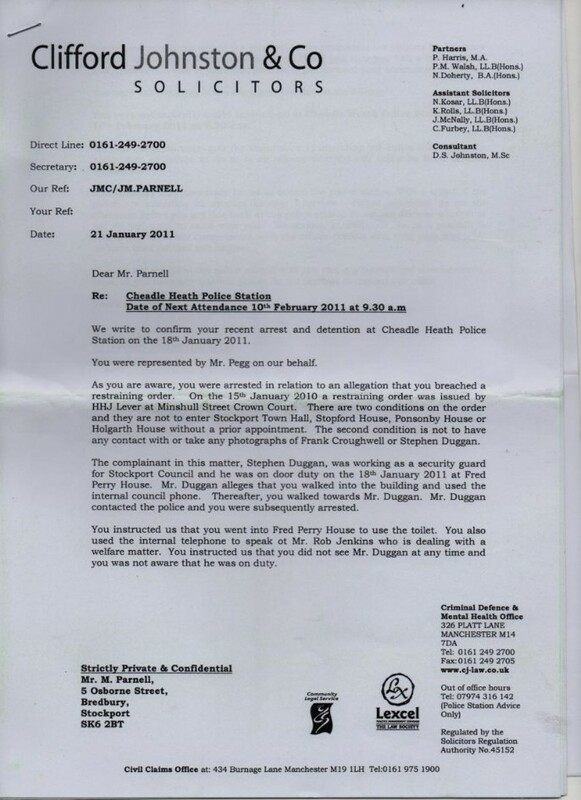 Mr Parnell refused to do his community service for an offence of which he had been acquitted. 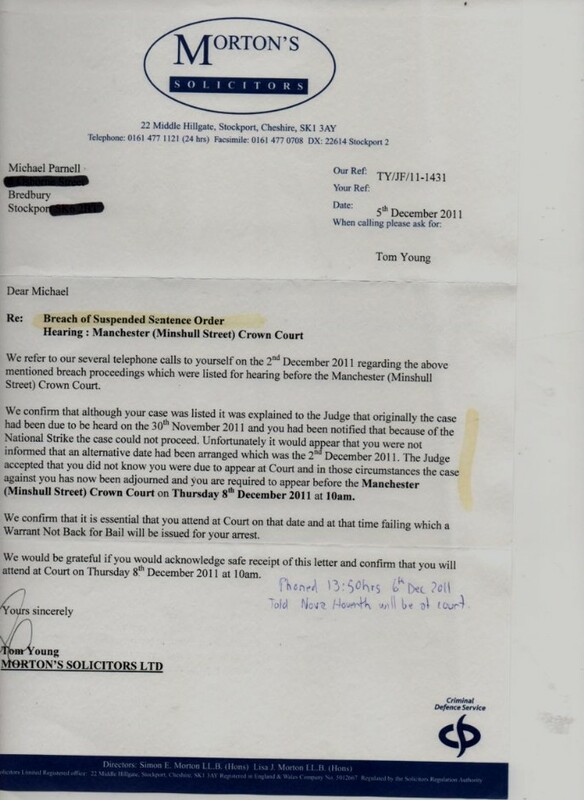 It is a basic tenet of law. 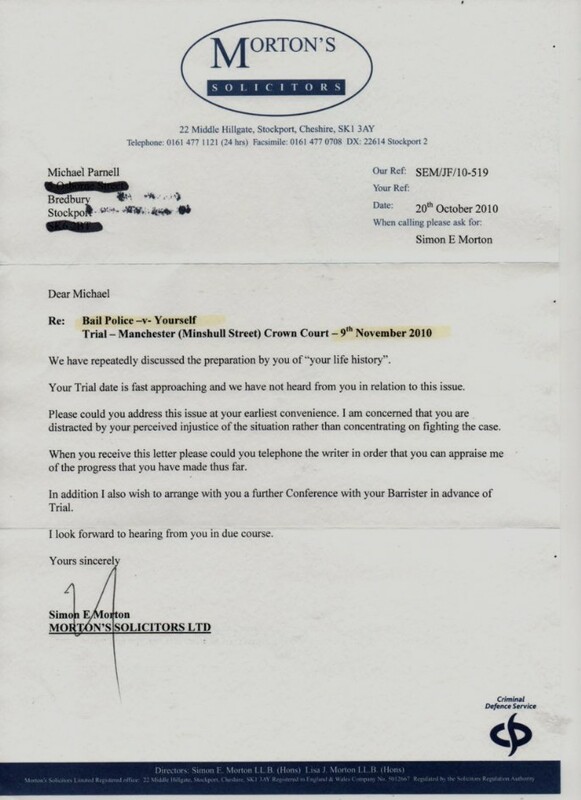 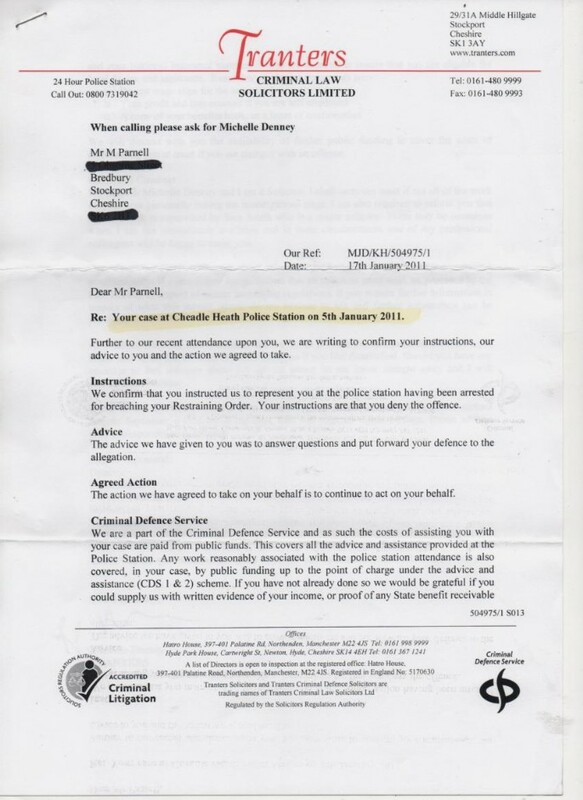 Dodgy CPS, Probation Service, Magistrate's Court, LibDem Stockport Council and dodgy police (not all of them - I blame senior officers such as Fahy). 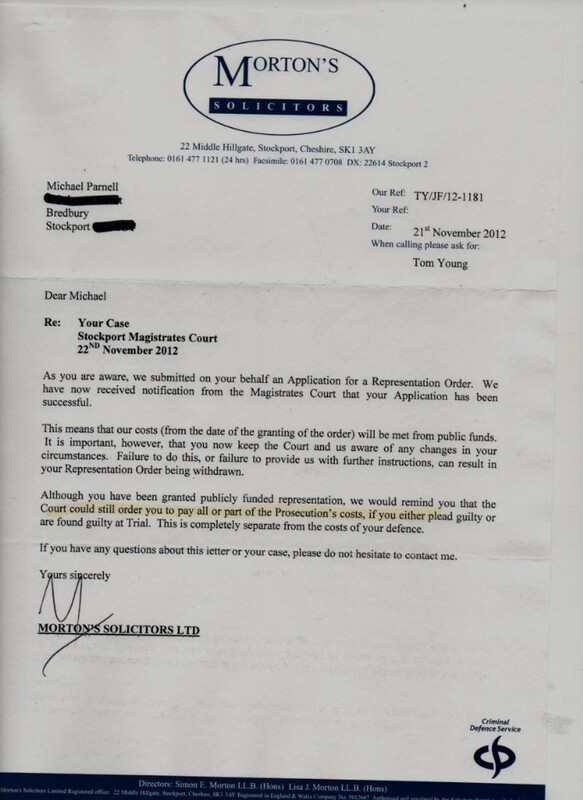 In court for two breaches of a suspended sentence order imposed for an offence of which he was acquitted and then continually lied about by two security guards who had previously been found to have lied about him in court and still not helped year after year by the dodgy LibDems like Goddard who had a legal duty to provide the counselling he was asking for for his lovely, troubled, adopted daughters. 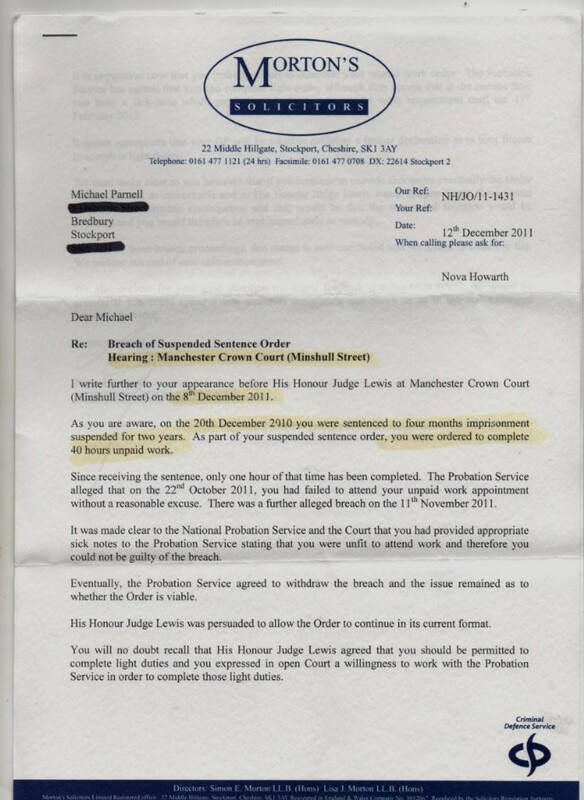 The Probation Service take Mr Parnell to court for failing to do community service for an offence of which he had been acquitted. 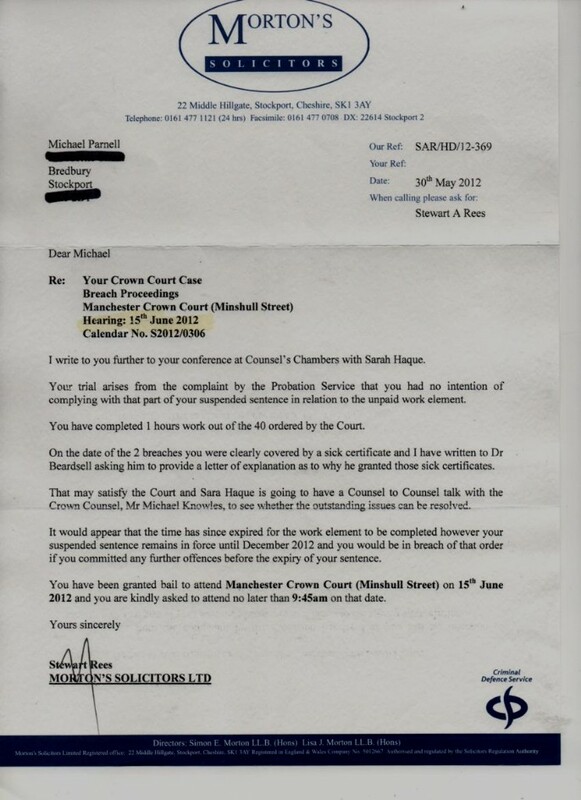 Why then should he serve community service if the alleged assault didn't take place? 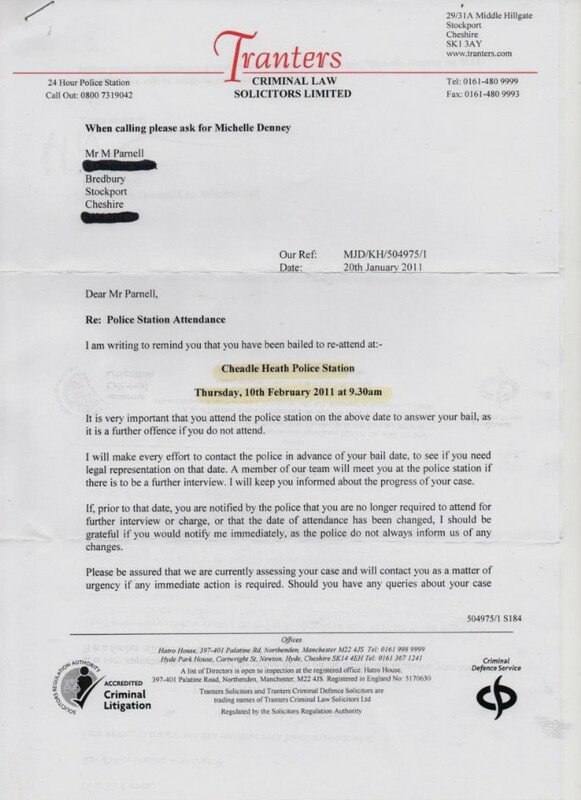 They refused to listen; he refused to do it. 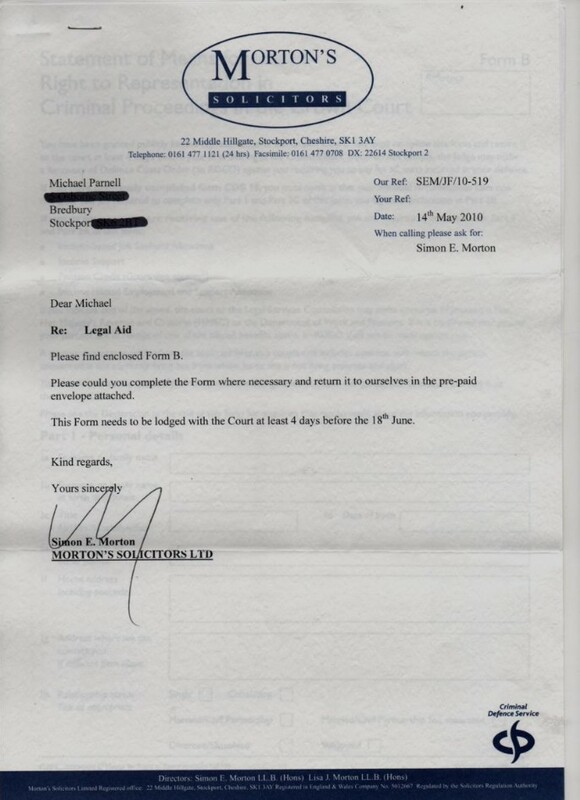 More court appearances for this completely honest, sick man. 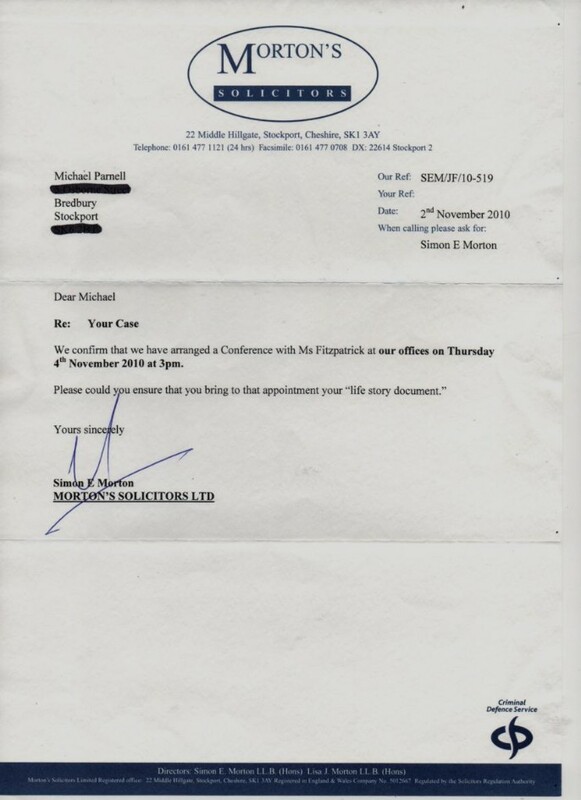 Why didn't dodgy Goddard simply help him instead, as he had a legal obligation to do? 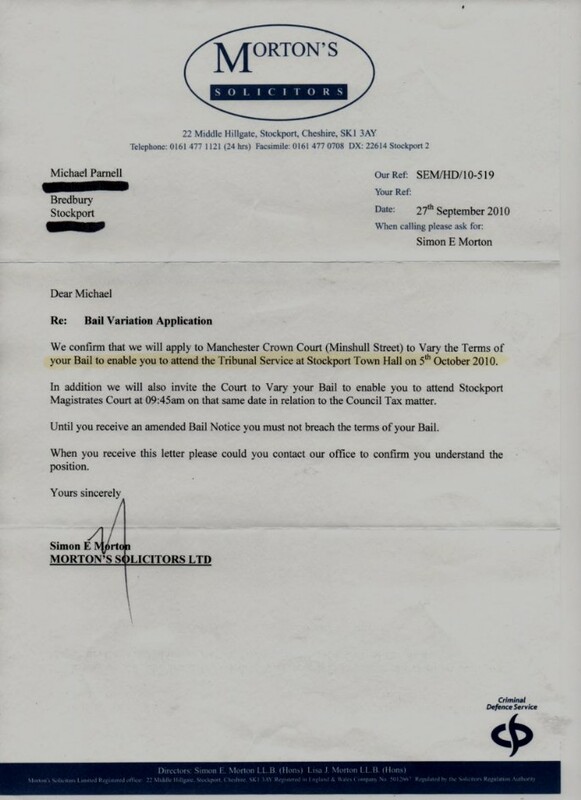 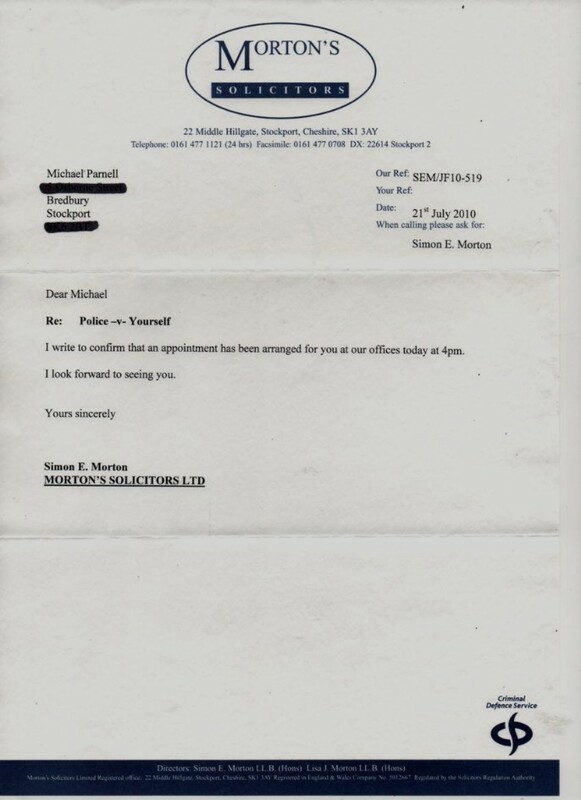 Because the office of Mr Parnell's solicitor was in the red no-go area of the town for him, he could only visit his solicitor with a written invitation stating a specific time. 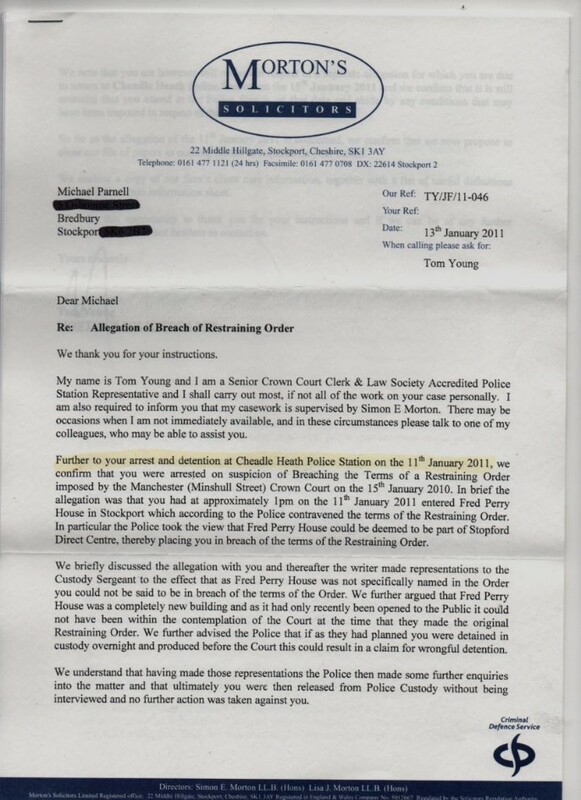 Bent LibDem Council, bent senior police officers, bent magistrates, bent Crown Prosecution Service.